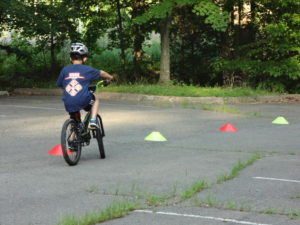 Pack 1344 hosts an annual bike rodeo in June. 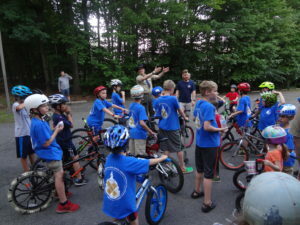 Cub scouts and children in the community that are not current pack members are invited to attend. 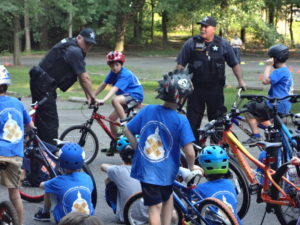 Special guests, such as the police, speak to the children about the importance of bicycle safety. 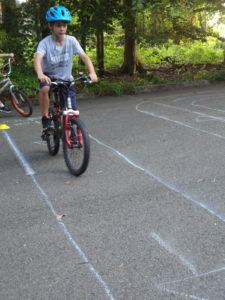 They also check to make sure the participant’s bicycle is safe to ride and their helmet is fitted properly. 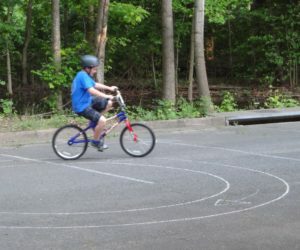 The participants test their skills by going through challenging obstacle courses. 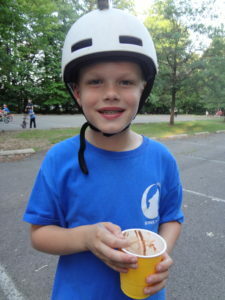 Each participant receives a bike rodeo patch after they complete all of the obstacle courses and then enjoy an ice cream sundae treat!